This was the conclusion and call-to-action of a long-awaited 2016 UN report, which recommended that World Trade Organisation (WTO) members no longer link the cost of research and development (R&D) with drug prices, in addition to advocating for the full disclosure of pharmaceutical R&D costs. This is being framed as a global crisis. Cost is preventing access to life-saving medicines in much of the world. Where access does exist, economies and individuals are being excessively burdened by rising costs. Nearly three years later, seven executives from the world’s largest pharmaceutical companies are appearing on Capitol Hill, where lawmakers in the US are attempting to get answers about the high cost of prescription drugs. During the interim, very little has improved. In fact, the situation has become significantly worse. Prescription drug prices have increased steadily during the past three years and are predicted to continue doing so. In effect, the US is subsidising healthcare for other countries, where drug pricing is more regulated. What Does It Cost To Develop a Drug? Interestingly, no one really seems to know what it costs to bring a drug to market. The pharmaceutical industry has excelled at keeping these figures opaque through intransparent practices. The above-mentioned UN report also highlights this; estimates range from a couple hundred million to PWC’s estimate of $4.2 billion for a single drug. This confusion works in the industry’s favour. From a PR standpoint, it’s easier to justify extremely high drug prices if you can suggest that the cost of developing drugs is astronomically high. Beyond pricing, the high cost of drug development is having a direct effect on the types of treatments being brought to market. Why spend the effort of developing a drug for a disease that affects a relatively small portion of the population, when it represents such a financial risk? Instead, pharmaceutical companies focus on developing blockbuster drugs or raising the prices of existing drugs. Four of the top 10 prescription drugs in the United States have increased in price by more than 100 percent since 2011. Perhaps the easy thing to do is to shrug our shoulders ambivalently and suggest that the system is too complex to change; this is just the way things are. However, this is one of the single greatest challenges to humanity’s future, and it is indicative of a major global crisis. We need solutions, not shoulder shrugging. To this end, many experts around the world have been exploring alternatives and solutions to the complex problem that is the current state of drug development. 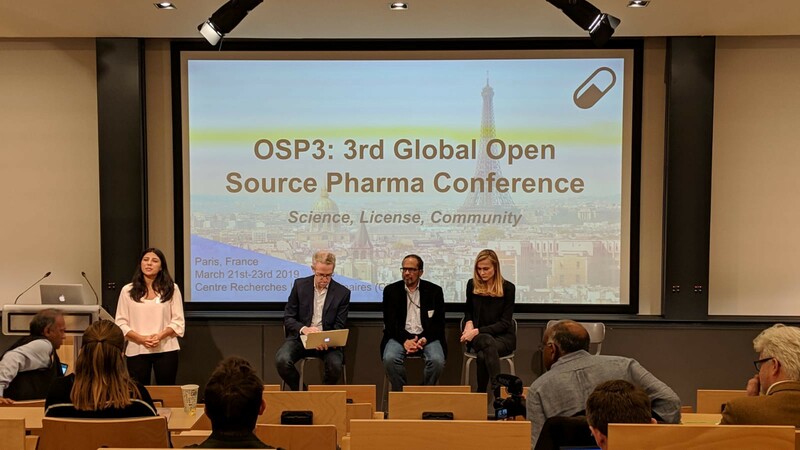 One prime example of this is Open Source Pharma (OSP), which incorporates learnings from the broader open source software movement, allowing anyone to contribute to the open research and development of a drug. Working out in the open means there is clarity about what doesn’t work, and thus less redundancy stemming from secrecy. In his opinion piece advocating for OSP, founder Matthew Todd writes, “It is generally thought that if you have no secrecy — if everything is in the public domain — then you can’t patent things. If you can’t patent, then you can’t have exclusivity and without exclusivity you will never recoup the money you poured into the research. A looming money problem at the end of the project means people are nervous about investing at the start.” This speaks to the current thinking around intellectual property in the pharmaceutical industry. To understand why this is such a radical departure from the current system, we need to understand how the system currently operates. Let’s start by examining the role of patents and intellectual property in the pharmaceutical industry. In the context of the pharmaceutical industry, patents are legal devices that grant inventors market exclusivity over a new medication. Market exclusivity often translates to economic rewards to the patent holder that provide a monopoly over the invention for a period averaging 20 years, dependent on jurisdiction. Obtaining patents and retaining market exclusivity can often be a difficult process. Today, pharmaceutical companies face a rising cost for drug discovery and development, as well as aggressive competition from generic drug companies. As the cost of R&D continues to skyrocket, a significant focus for competing businesses is placed on maximising patent terms to fend off competition and to extend a product’s life cycle. Perhaps as some “justification” for the rise of prescription drug prices as discussed above, it’s worth mentioning that the reported cost of drug development has increased steadily and significantly over the past 40 years. In the 1970s, a drug could be brought to market for approximately $54 million. Again, today’s estimates for the cost of bringing a single drug to market range from several hundred million to $4.2b. Patent protection and market exclusivity attempt to incentivise the shouldering of this cost by providing the opportunity for a return on investment. While patent protections are often a key focus for large pharmaceutical companies in terms of their business strategy, they are also problematic for collaborative research. Patents are closed and monopolistic by nature, resulting in the requirement of large organisations single-handedly shouldering the high cost and risk of drug development. They also result in significant amounts of IP being shelved, due to capital allocation priorities within an organisation. Further, a lack of incentives to open up research data to other stakeholders due to legal risk (and no participation in the financial upside) creates its share of problems. These scenarios prevent collaboration in the research and development phases that could be useful in distributing cost and work, thus accelerating time-to-market. They are also the primary reason why the industry remains so opaque. These are some of the challenges we are trying to address with Molecule, which I’ll return to shortly. With all of this in mind, how can we influence change in the current system? OSP, for example, takes advantage of key principles at the core of open science, the rapid multilateral sharing of knowledge, results, data, and materials without patent restrictions. It has been proven to be successful in pre-competitive research areas due to lowered transactional costs and encouragement of cross-disciplinary collaboration. Prominent theorists hypothesise that such an organisational framework could be successfully applied to take a new drug candidate from discovery through to product registration, as opposed to just focusing on basic science where the framework is currently applied. Open science applies open source principles originally garnered from learnings in software development and applies the thinking to scientific practice. The key feature of open source projects is that they are open for everyone interested in participating and governed by clear rules around licensing. While this way of working used to be traditional dogma in science, the thinking and methodologies are only just beginning to be applied to drug development and the pharmaceutical industry. One of the potential barriers to open pharma is the lack of financial incentives that exist from an investment standpoint, as mentioned by Todd. There is currently no clear way to distribute potential returns between investors, and such programs are primarily funded by grants from governments and NGOs that do not expect profits from their spendings. If alternatives to the current system are going to gain traction, they need to offer some sort of potential return to those who take the risk of funding them. Further, we cannot rely solely on traditional grant funding to change practices in drug development, as this would not be scalable or sustainable. Molecule, a blockchain-based software protocol for the open research and development of pharmaceutical intellectual property, is another example of a potential alternative to the current system and one that may work in conjunction with OSP’s approach. 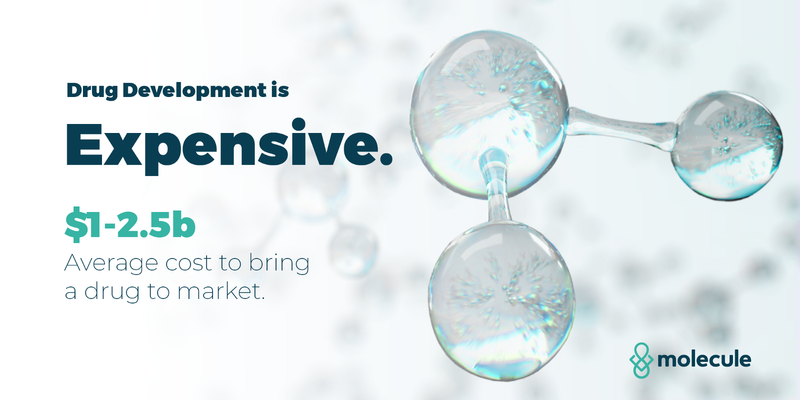 Molecule focuses on creating strong financial incentives to open up the drug research and development pipeline. 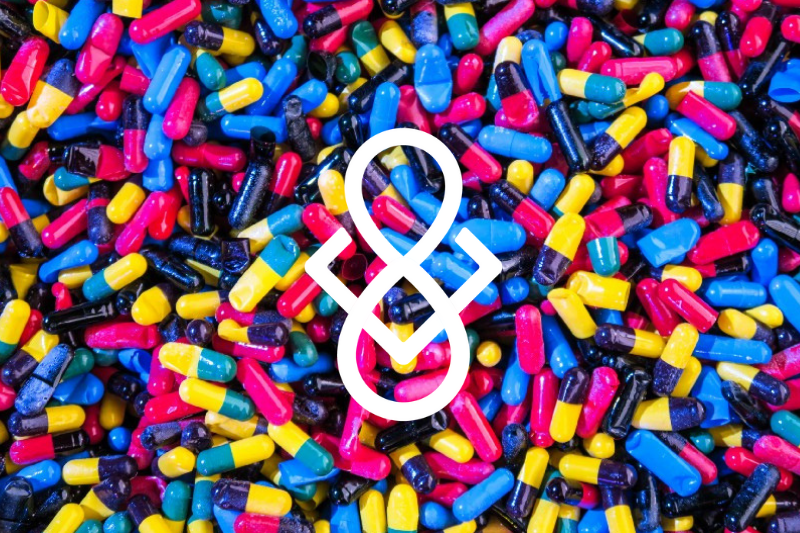 The protocol’s core focus is the distribution of ownership, risk, and cost intrinsic to drug development by splitting IP ownership between all the different stakeholders that contribute to its advancement. The general approach is slightly different from OSP’s, but may, in fact, be highly complementary. While OSP focuses primarily on treatments for rare and tropical diseases affecting the third world, Molecule may be the appropriate platform to open up research and development around a broader range of treatments, such as antibiotics and other drugs that may not be blockbusters. It achieves this by distributing the cost of drug development broadly amongst many parties that have an interest in contributing to the drug’s development. OSP works by maintaining a consortium of universities that collectively contribute data on a disease or drug, crowdsourcing the research and development phase of a therapeutic openly. With Molecule, the process works similarly, but those that contribute to the research or invest own a share of the IP. This creates strong financial incentives to further develop the drug. As such, Molecule may provide the much-needed financial layer to make something like OSP more viable to investors. How does Molecule work in practice? Let’s imagine a university discovers a valuable new chemical compound that shows potential for use as an antibiotic. The university does not have the means or resources to take the drug through the required preclinical and clinical development processes but patents the novel claims. With Molecule, the university could create an open market for the IP, allowing interested parties to buy or sell shares. This open market would exist among many other markets for pharmaceutical IP, like a stock market for potential therapeutics. The university could sell fractional ownership to anyone interested, like other universities and pharmaceutical companies with overlapping research interests, and do so with little friction. 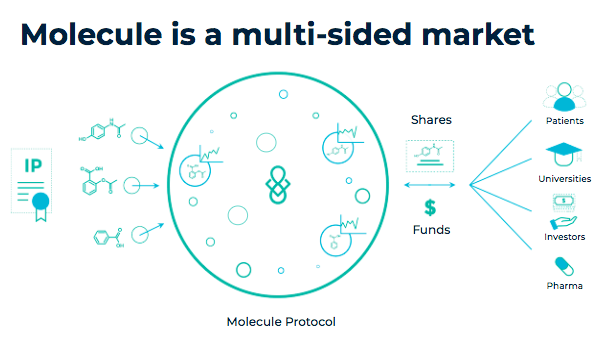 By creating an open markets for therapeutics in development, Molecule can measure interest and attention in the potential drug, assist in finding research partners to co-develop it, and provide access to funding relatively quickly. This means that research partners have skin in the game. This creates incentives to produce additional data about the drug, and to do so in a transparent manner. Taken together, these processes may accelerate the drug’s development. If the drug is successfully commercialised, everyone who has invested has rights to royalties. Beyond traditional investment, research bounties could be advertised that offer fractional ownership to another university, contract laboratory or pharmaceutical company in exchange for performing specific preclinical/clinical development work. This opens up research and development to any interested party, and through the programmatic distribution of ownership and cost, the barrier to initiating drug development is effectively lowered. As the cost is distributed and significantly lowered on a per party basis, it may be easier to crowdsource the development of drugs for rare diseases — like paediatric illnesses, for example — that are not necessarily in a single pharmaceutical company’s financial interest. Patient advocacy groups for specific illnesses could have their members fund the development of drugs related to their own diseases, and those members would own a share of the IP created. Never before has the general public had the opportunity to be so directly involved in the development of therapeutics. Organisations like Open Source Pharma could use such a platform to fund the development of novel compounds for tuberculosis or malaria. In this case, Molecule may provide the necessary financial incentives to open up OSP funding to new types of investors. In such cases where a patent or exclusivity doesn’t exist, fractional ownership would mean something different; perhaps governance around how the funds are spent, how the drug is ultimately commercialised or how royalties from licensing agreements are distributed. These types of markets would be a radical departure from business as usual and are just beginning to be explored. It is worth noting that the primary corporate and financial concerns around open science and open pharma are not necessarily logical, but rather reflect industry sentiment and fear of change. For example, it is certainly possible to create profitable business models without exclusivity, albeit sometimes this requires ingenuity. The global pharmaceutical market in 2014 was valued at over $1 trillion. The global generic market represents approximately $135 billion. Generics can be, for all intents and purposes, thought of as drugs for which there is no exclusivity. Anyone can produce these drugs, and many companies do so in a profitable manner. To build on this argument, it can be said that the exclusivity protections that exist for the pharmaceutical industry exist in their current state based on the assumption that a single organisation is burdened with the entire cost of drug development from discovery to market approval. If open, collaborative methodologies are applied, this would not be the case. Universities, pharmaceutical companies, organisations, governments, foundations, etc. could all collaborate to work on various stages of preclinical and clinical drug development, sharing the work and cost. Those institutions best equipped to handle certain preclinical and clinical development tasks could take on the work, allowing development to be optimised for time and cost. Their individual investment, in this case, would be considerably smaller and distributed, along with the risk, and return. These sort of working practices, similar to those in open source software, would also likely accelerate development times. Additionally, the work would be done in a more transparent and open manner, improving the integrity and quality of the work. Without exclusivity, it is likely that the return on investments would be more in line with the types of returns garnered from generic drug production. The pharmaceutical industry largely justifies high drug prices and the requirement for significant returns with arguments about the high cost of drug development. In an open and collaborative ecosystem, the returns would be considerably smaller, but so would the cost. This cost saving will ultimately trickle down to patients, who stand to benefit the most from such a system. While the current state of drug development is in crisis, the future is not entirely hopeless. Sometimes it takes a crisis to precipitate the type of radical innovation required to completely change a complex system. Organisations like OSP and Molecule are spearheading new ways of thinking about drug development and intellectual property. While they currently represent small, but concerted efforts to improve access to healthcare for all, we hope to see them gain the type of traction that open source software has gained more broadly. It is my belief that soon, drugs will be developed openly and collaboratively towards a better, healthier future. The future of drug development is open. Interested to contribute? Get in touch with our team on Twitter, Gitlab & join our Newsletter for project updates and announcements. Lead Scientist for Molecule. Biogerontology, experimental therapeutics, and open science. An open source ecosystem to fund discovery of molecules and accelerate innovation.